STARFRIDAY : Hawaizaada makers re-create the 1895 Era. 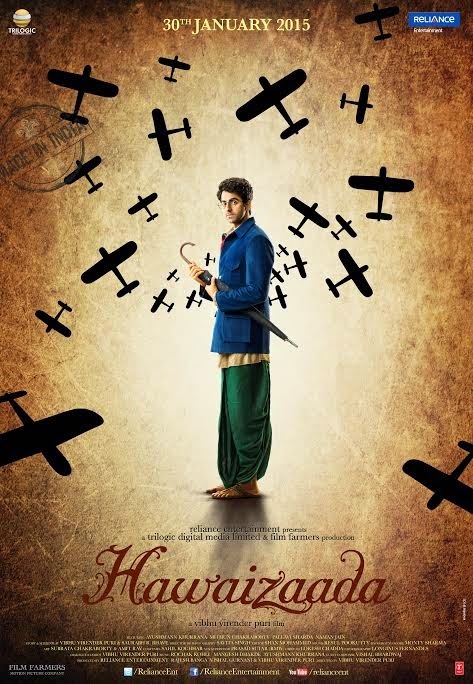 Hawaizaada makers re-create the 1895 Era. The makers created an entire city from scratch in gondal gujarat, near rajkot. Vibhu Puri who is making his directorial debut with Hawaizaada, was keen to shoot the film in real locations. The film being set in the 1895 era, it was difficult to find real locations. The makers travelled extensively to remote parts, villages all over India, finding a desired location as they were not keen to shoot the film on a set. They wanted to encapsulate the era of 1895 hence re-created an entire city in Gondal, Gujarat. In order to maintain the authenticity of the era and avoid fabrication, the makers kept every single detail in mind and re-created the set from scratch. The director made it a point to look into the nuance elements of the era while reconstructing the infrastructure. A major chunk of the film has been shot there. The entire team has managed to bring out the era brilliantly on silver screen. The trailer and music of the film has been garnering a lot of appreciation from the industry and is all set to release on 30th January.